Looking for some quick, realistic and healthy kids lunch ideas? Here is a collection of simple yet healthy and colorful lunch box ideas from www.mrsjanuary.com. Ideas include those for sandwiches and main dishes as well as yummy ways to serve up fruits and veggies and some good snack ideas to pack. 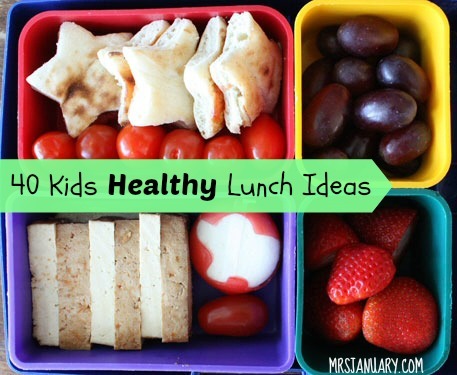 Click on the link below for all 40 healthy lunch ideas for kids.